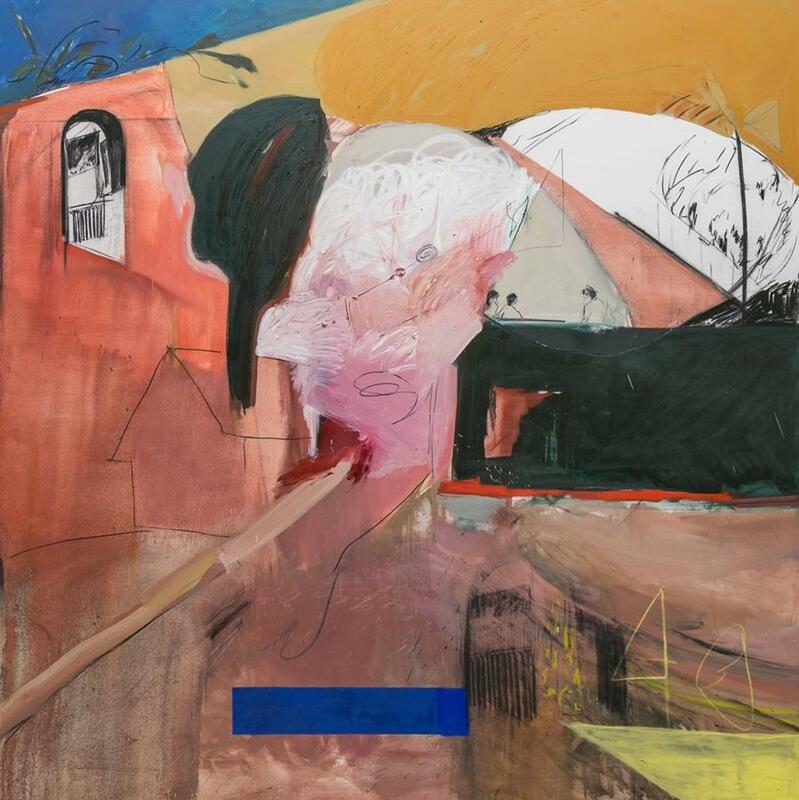 Huxley-Parlour Gallery, London, is delighted to announce New Mythologies: Figurative Abstraction in Contemporary Painting, an exhibition featuring the work of seven contemporary artists including Eileen Cooper RA, John Copeland and Iris Schomaker. The exhibition explores the complexities inherent to image making and representation and examines how each artist extends the narrative potential of their figurative work through abstraction. Through a tightly curated selection of twenty works made in the past 12 years, the exhibition presents a number of diverse approaches to contemporary figuration and to materiality, whilst highlighting the shared affinities and common approaches to painting held between these seven artists. Each artist uses their own particular form of mark making – from the gestural and intuitive to the precise – to explore storytelling, lived experience and traces of memory. The work of Stephen Chambers RA invites the viewer into a series of imagined narratives, investigating themes of identity and nationhood in dream-like landscapes inhabited by expressive figures. Hovering between abstract and figurative, Chambers uses planes of intense colour and pattern to construct his strange and complex world.